In a somewhat odd marketing move, Fox has already announced pre-orders for the Blu-Ray of the upcoming Ridley Scott sci-fi film Prometheus. 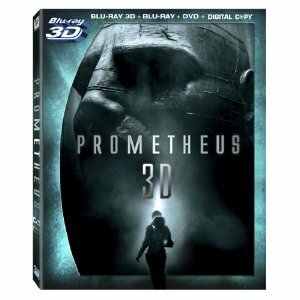 The Blu-Ray can be pre-ordered in 2D or 3D and if you’re one of the first 5,000 to do so on Amazon you’ll get a free ticket (valued up to $10) to see Prometheus in theaters until August! That’s one heck of a deal if you already planned on seeing the film or will eventually be buying the Blu-Ray. Hurry though, because the deal went live this morning and only goes until 5,000 copies have been sold. Simply click here to lock in your pre-order and you should get an email with 48 hours with a code to redeem your ticket. 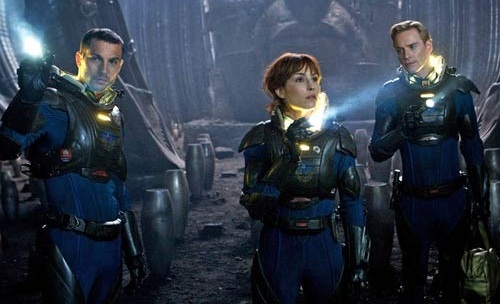 If you haven’t seen Prometheus yet make sure to read our official review for the film right here. Prometheus opens in theaters on June 8th, 2012. The Blu-Ray currently doesn’t have a release date.